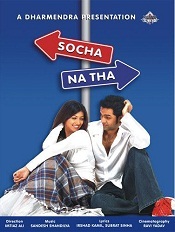 Socha Na Tha was directed by Imtiaz Ali and co-starred Ayesha Takia, Neeti Mohan, Rati Agnihotri and Ayesha Jhulka. Film was made with budget of INR110 million and earned INR170 million at box office. 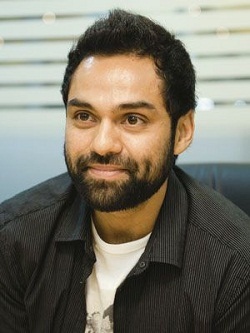 Film marked debut for Abhay Deol and was a commercial hit. Film tells the story of young man whose parents fixed a girl for him. But he is in love with a girl and asks her parents’ girl to come with her to see his lover. During their stay in Goa the couple develop feelings for each other but due to some reasons they can’t get married and act like nothing happened. Rest of the story is how they realize their true feelings and reunite. Honeymoon Travels Pvt. Ltd. was directed by Reema Kagti and co-starred Amisha Patel, Kay Kay Menon, Boman Irani, Shabana Azmi, Minissha Lamba, Raima Sen and Diya Mirza. Film was made with budget of INR90 million and earned INR16.5 crores at box office. Film tells the story of six young married couple going on their honeymoon using the service of Honeymoon Travels Pvt. Ltd. Bus. During their journey to Goa the couple are exposed to different challenges. Ek Chalis Ki Last Local was directed by Sanjay Khanduri and co-starred Neha Dhupia, Vinay Apte, Snehal Dabi, Ashwin Mushran and Virendra Saxena. Film was a surprise hit at box office. Film tells the story of two people who miss a local train at 1:40 am and it changes their life forever. Protagonist works in a call centre and one day he misses a train and meets a girl who is on her way to the same destination. He stops in middle to have a drink in local pub and meets his old friend who gambles a lot. 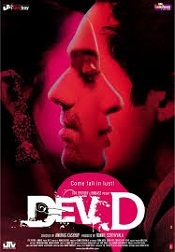 Dev.D was directed by Anurag Kashyap and co-starred Mahie Gill, Kalki Koechlin, Dibyendu Bhattacharya and Parakh Madan. Film was made with budget of INR60 million and earned INR215.0 million at box office. It is inspired by classic novel Devdas, a modern-day adaption. Zindagi Na Milegi Dobara was directed by Zoya Akhtar and co-starred Hrithik Roshan, Farhan Akhtar, Katrina Kaif and Kalki Koechlin. Film was made with budget of INR550 million and earned INR1.53 billion at box office. Movie was blockbuster hit of the year. Film tells the story of three young men going for Bachelor’s party in Europe. One of them is a workaholic and never gives much preference to feelings. Second friend is looking for his mysterious father in his journey. Protagonist falls in love with a girl in Europe and she is a person of emotions. Rest of the story is how their tour changes everyone’s life. Shanghai was directed by Dibakar Banerjee and co-starred Emraan Hashmi, Kalki Koechlin and Prosenjit Chatterjee. 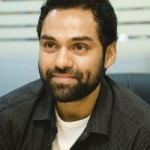 Film was made with budget of INR20 million and earned INR150 million at box office. Film tells the story of city named Shanghai where State government is planning an International Business Park. A noted intellectual wrote a book criticizing the political parties which are favoring the industrialization. An IAS officer who is a follower of Chief Minister is an administrator of IBP. Rest of the story is about political corruption and greedy business deals. Raanjhanaa was directed by Anand L. Rai and co-starred Dhanush, Sonam Kapoor and Swara Bhaskar. Film was made with budget of INR350 million and earned INR1.2 billion at box office. Film tells the story of son of a priest falling in love with a girl since childhood days. She belongs to Muslim community and though initially rejected him , she actually falls for him too. But when she goes for higher studies she meets another guy and falls in love. After eight years she comes back to her home town where her old boyfriend was waiting for her.